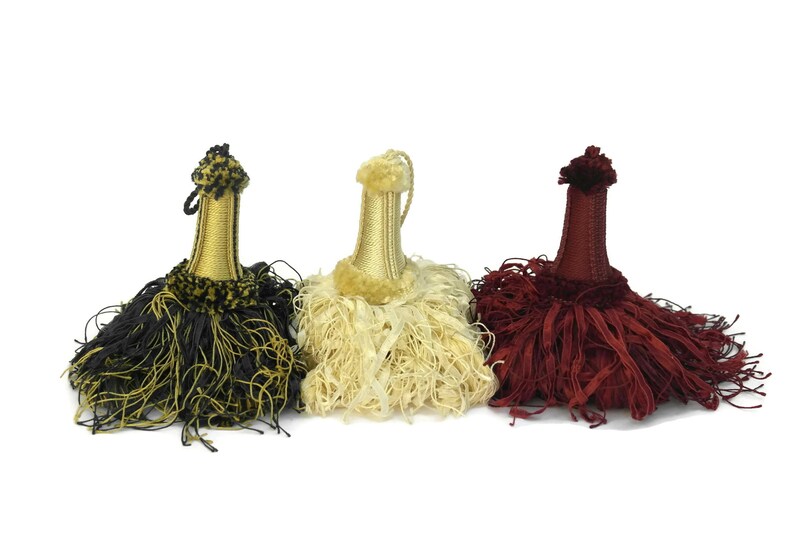 A glamorous set of 3 vintage French door key tassels filled with style and charm. 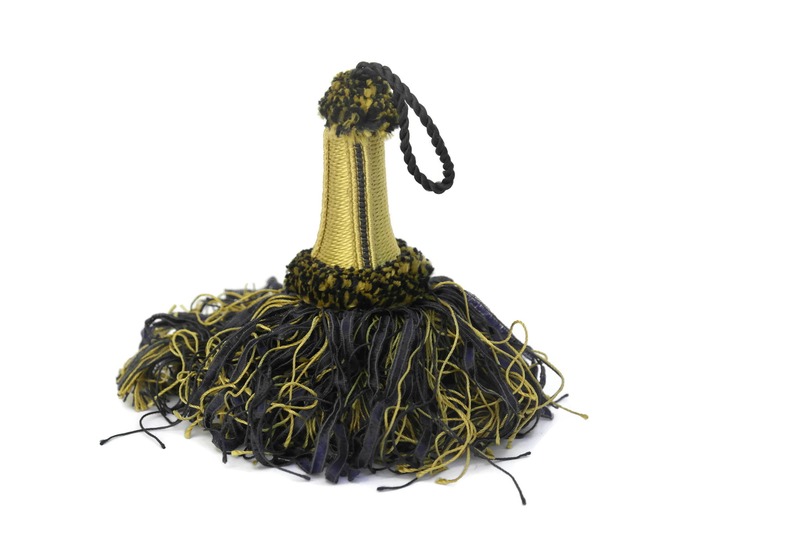 Each of the passementerie pompoms has been created from ribbon and thread and they come in shades of blue, off white and red. 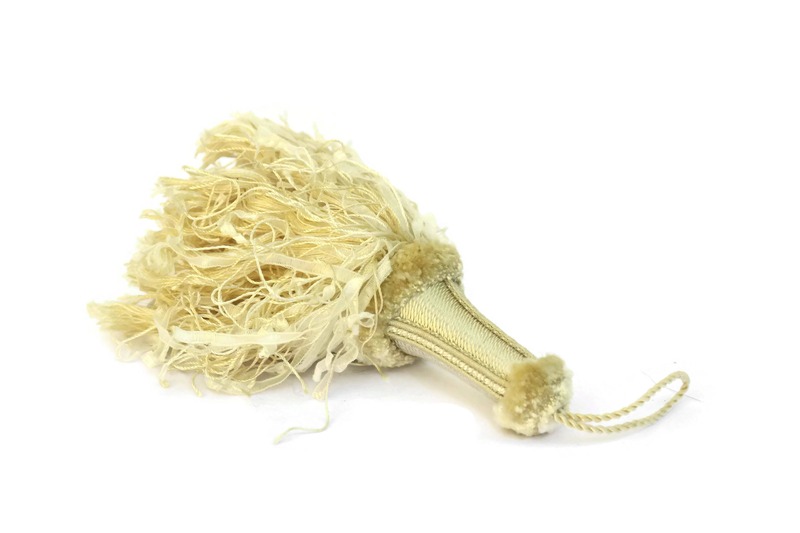 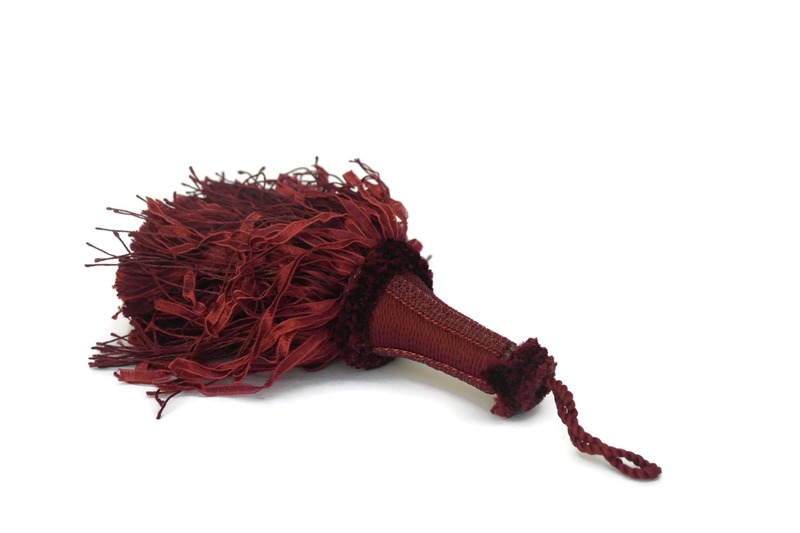 The key tassels can be displayed on door handles or used to decorate skeleton keys with a classic French touch. 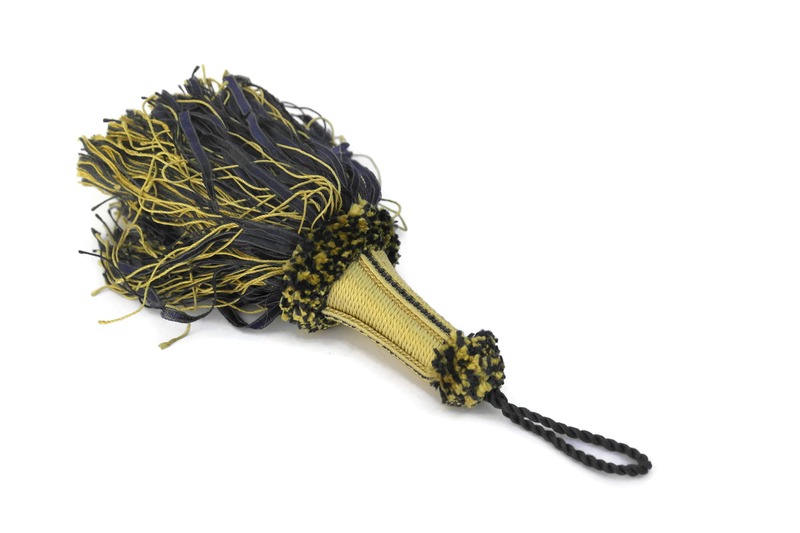 8" (20 cm) long including the hanging loops. 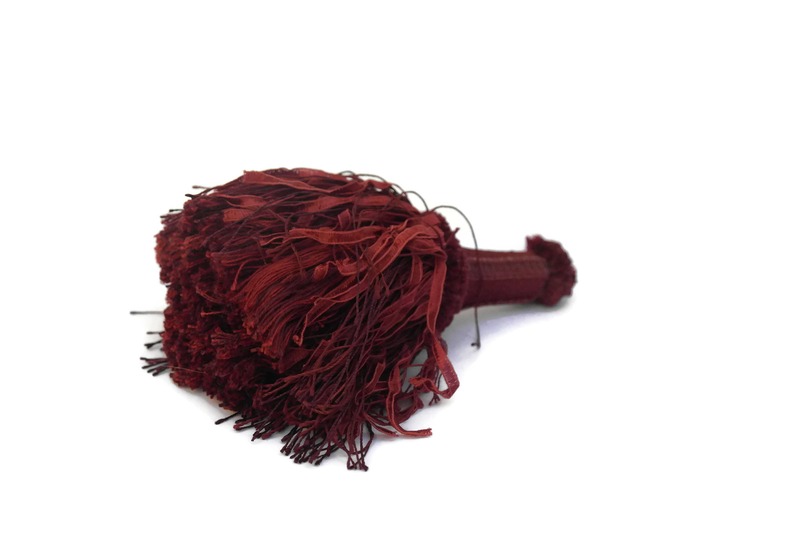 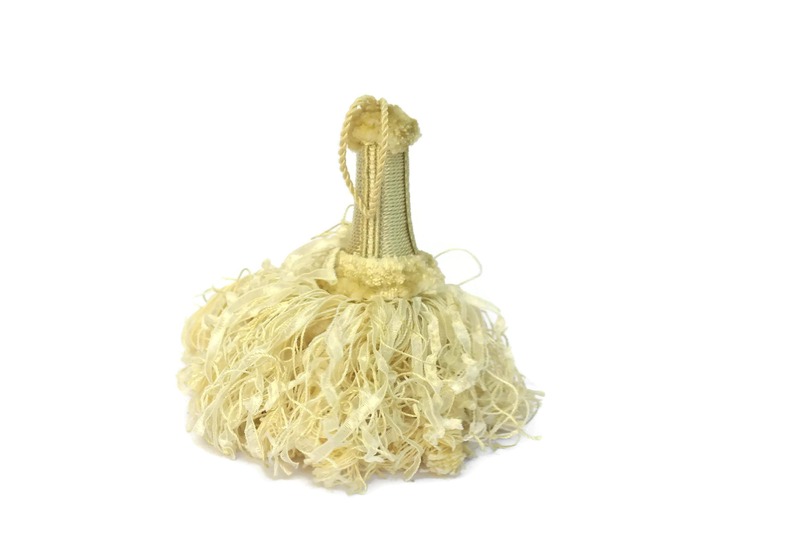 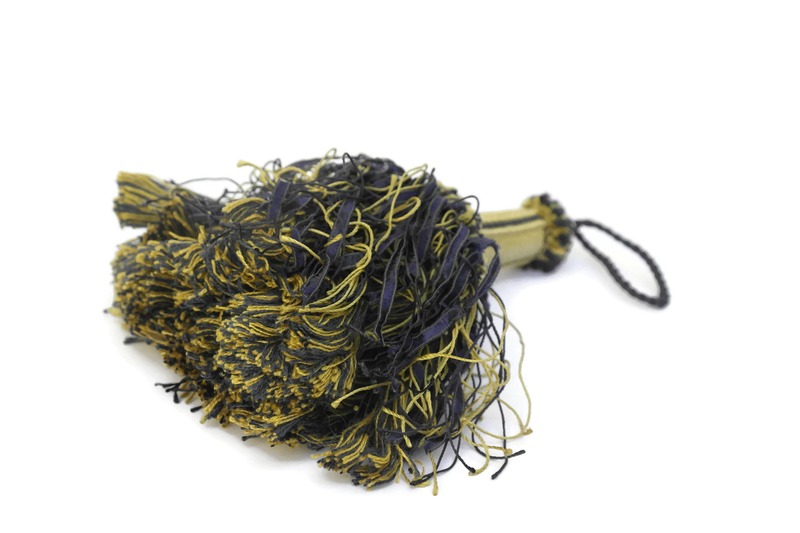 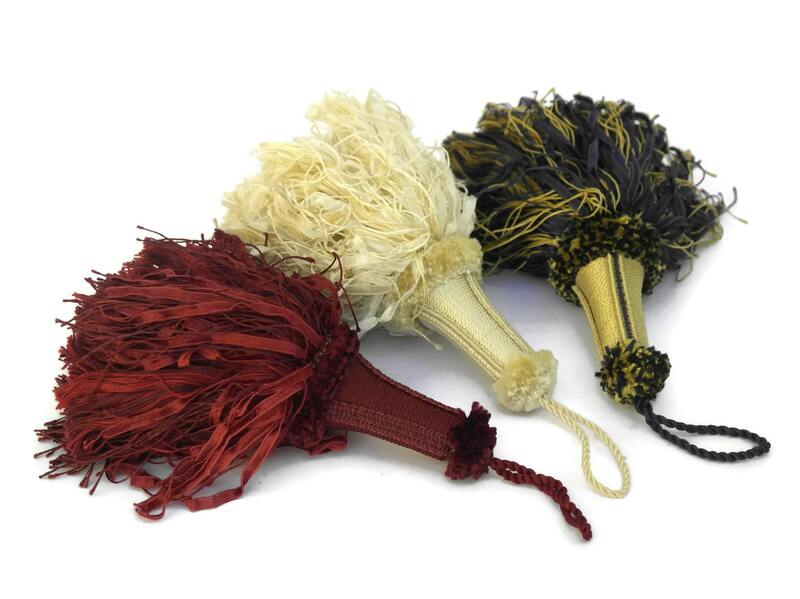 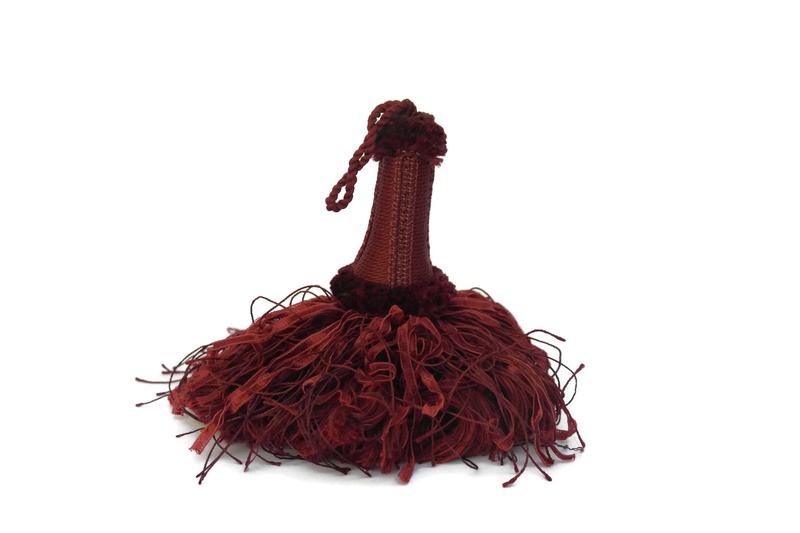 The set of 3 tassels is in very good condition with light signs of wear.